The Park West Foundation, the non-profit organization of Park West Gallery, is spreading awareness and understanding of autism. Park West Foundation is donating $2,000 to Autism Society Oakland County on April 1. A check presentation will be held at 11:30 a.m. at the gallery, located at 29469 Northwestern Highway in Southfield. In addition to the donation, Park West Gallery will shine blue lights onto the pillars of its façade at 9 p.m. the same day to coincide with the first day of Autism Awareness Month and World Autism Awareness Day (April 2). Park West families affected by autism will be in attendance on April 1 as well as members of Autism Society Oakland County. Members of the media are encouraged to RSVP for the presentation at media@parkwestgallery.com. Founded in 2006, the Park West Foundation supports art education as well as providing resources to foster care youth. 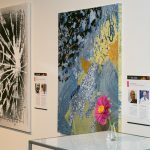 Park West Gallery in Detroit connects artists to collectors via land and sea art auctions by creating entertaining, educational and welcoming environments that ignite a passion for the arts.